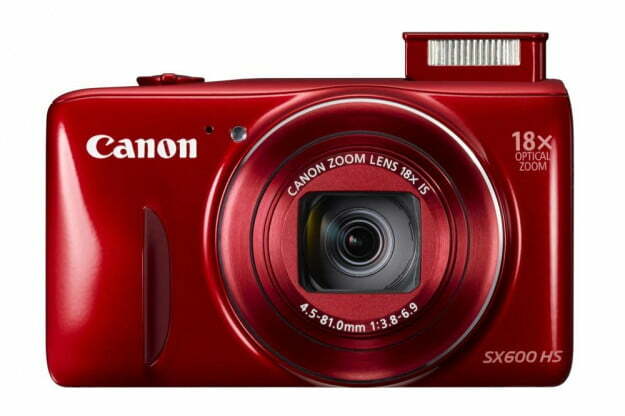 Check out our full written reviews of the Canon PowerShot SX600 HS camera and the Canon PowerShot N100. 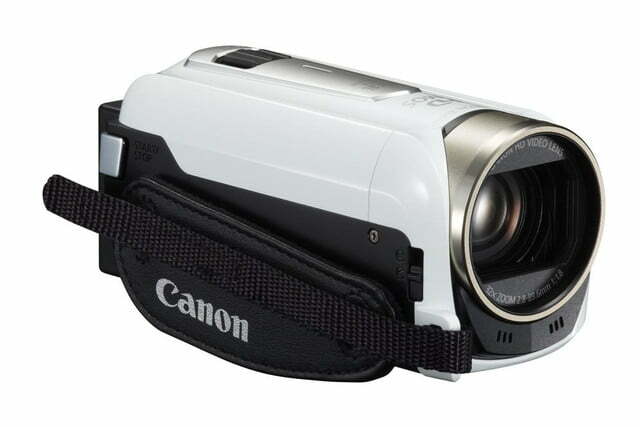 Like its fellow camera manufacturers, Canon isn’t unveiling a ton of new products like it did in years past, and everything at CES 2014 is strictly geared toward the consumer – no prosumer products here, nor anything super earth shattering. 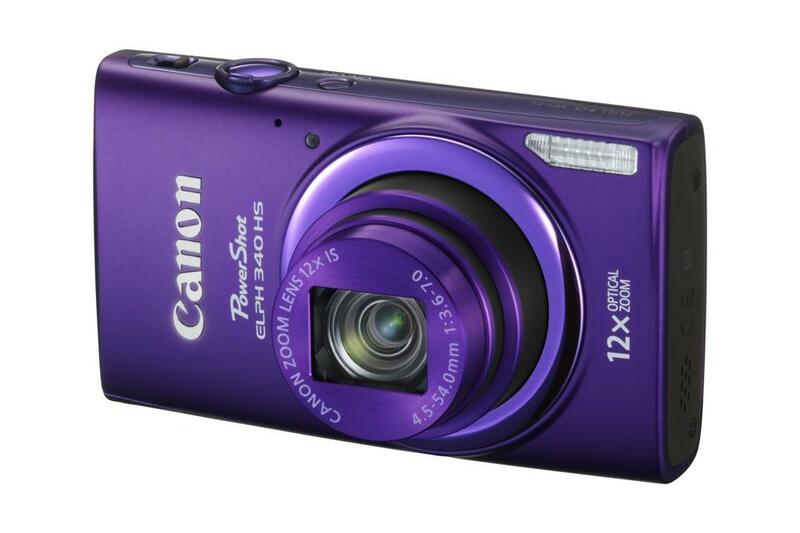 What’s noteworthy is that Canon is continuing its PowerShot N and Vixia Mini series introduced last year – two products that we weren’t that crazy about – with two follow-up models. 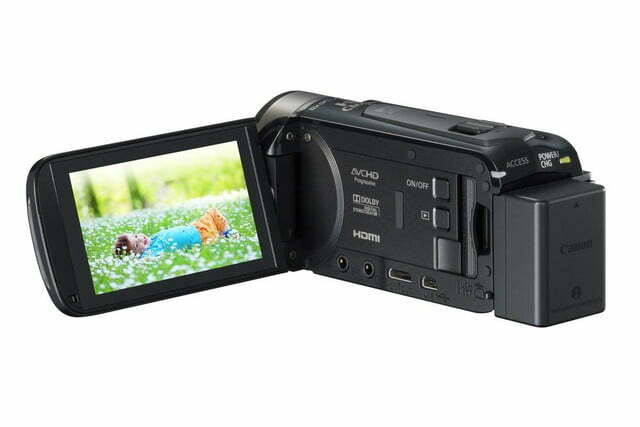 In addition, there are two compact point-and-shoots – a mega-zoom and pocket ELPH – plus three camcorders. 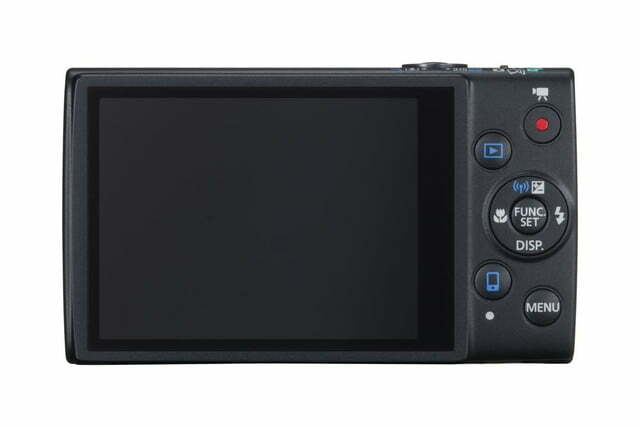 The original square-shaped PowerShot N, which was designed to be a fun and connected camera, has evolved into something more recognizable as a camera. 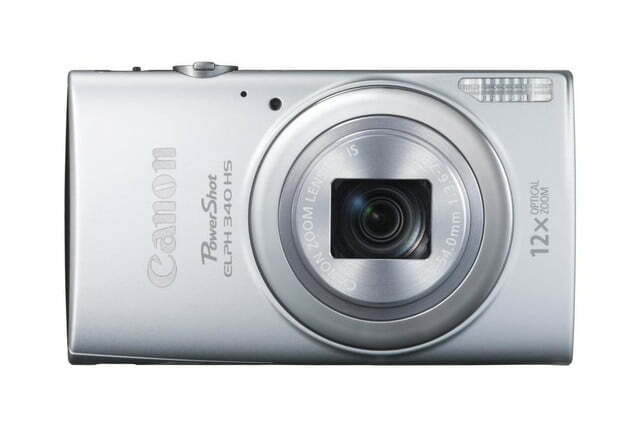 The PowerShot N100’s ($350) big new feature here is a rear-facing camera, and it can utilize both cameras simultaneously while shooting. The idea here is that the photographer can be part of a special moment, like a wedding or birth of a newborn. Another feature is Story Highlights, which creates a highlight video of every photo that’s stored on the memory card; the user can also curate what goes into that video. 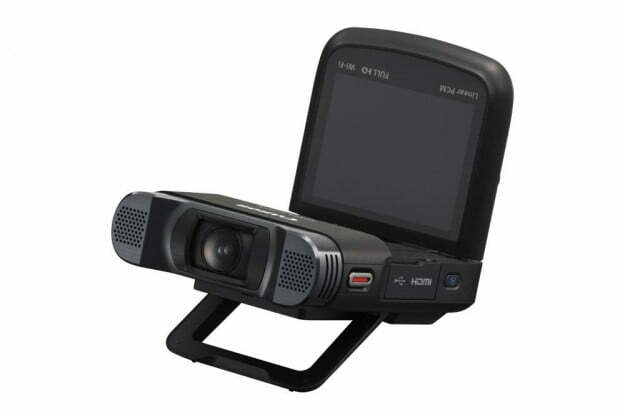 Being a connected camera, there’s near-field communication (NFC) for easy pairing with a supported smartphone via Wi-Fi. 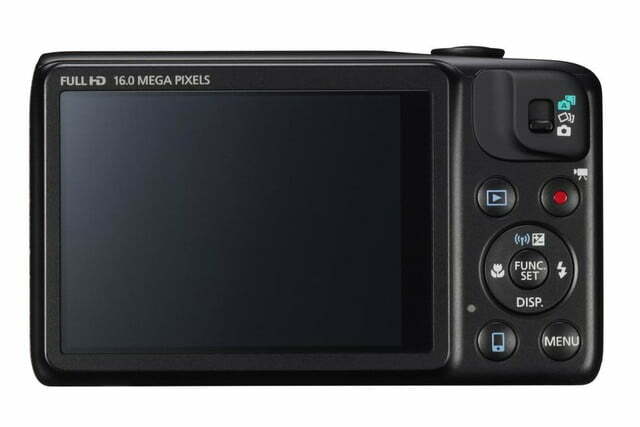 It uses the same 12-megapixel High-Sensitivity CMOS as the previous N, but it now has the DIGIC VI image processor – the highest ever on a PowerShot. The lens has a shorter 5x optical zoom, but it has an f/1.8 aperture with optical image stabilization. There’s a 3-inch capacitive tilting touchscreen, but just like the last model, it doesn’t tilt 90 degrees to let you take selfies. 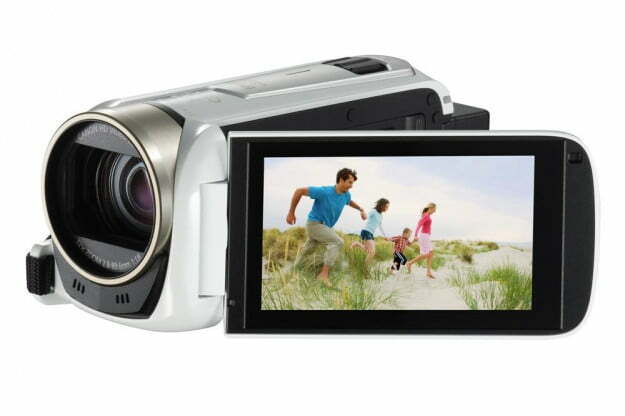 Expect this camera in May, in black and white. There’s not much to profit from entry-level cams, so we are seeing compacts and other point-and-shoot cameras getting stronger. The 16-megapixel PowerShot SX600 HS ($250) in Canon’s long-zoom SX series has an 18x zoom and uses a DIGIC IV image processor. 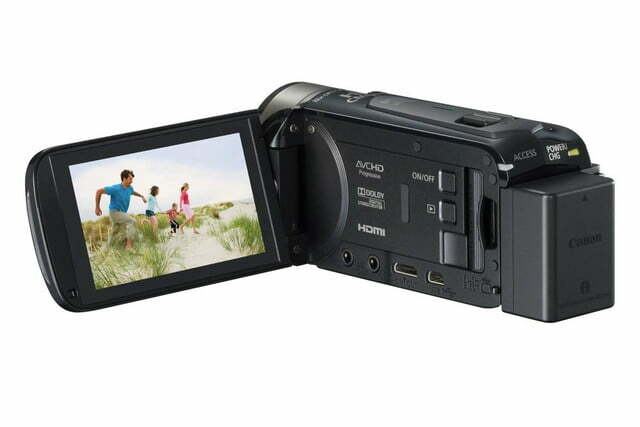 The appeal of the SX600 HS is the very compact size – almost like an ELPH. 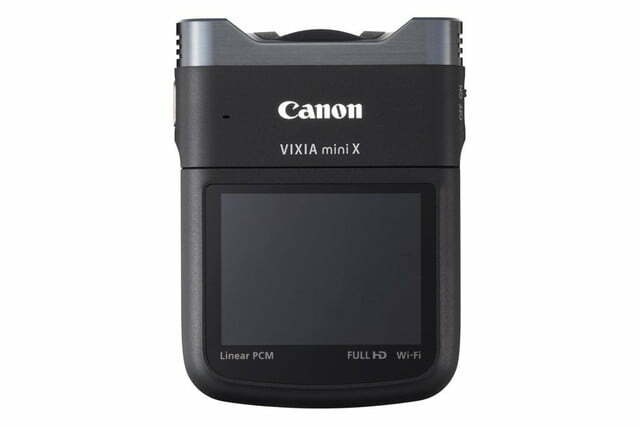 The camera records Full HD, and a Mobile Device Connect button puts you into Wi-Fi mode for transfers and uploads; there’s also NFC for quick pairing with a smartphone. 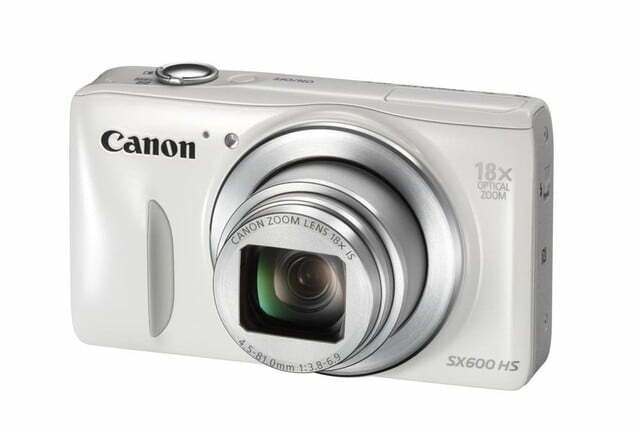 The SX600 HS has Canon’s Hybrid Auto feature that records short clips as you use the camera, then putting them into a short highlight reel. Available in red, white, and black, expect this to drop in February. 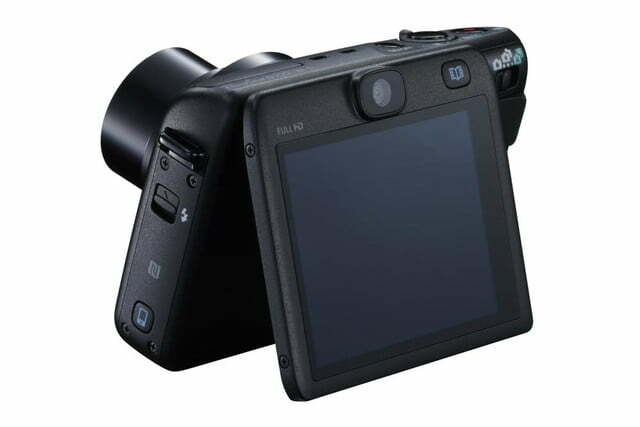 Camera makers aren’t churning out as many pocket point-and-shoots as they used to, but you’ll still see one or three making an appearance – despite the shift in consumer preference toward smartphones, there’s still a market for them. 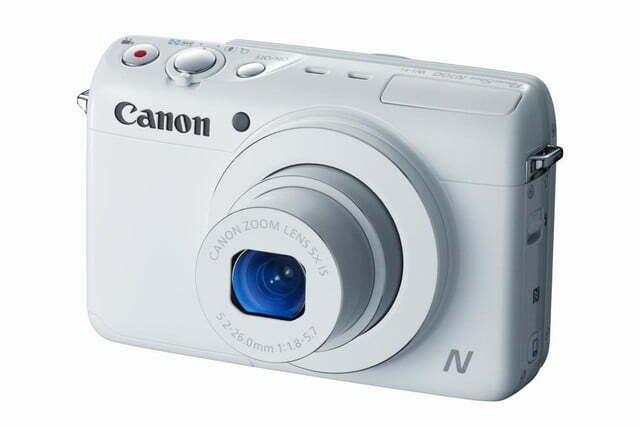 The 16-megapixel PowerShot ELPH 340 HS ($200) has a 12x optical zoom, DIGIC IV, Full 1080p video recording, and Wi-Fi with NFC. Available in March, the 340 HS will come in purple, silver, and black. 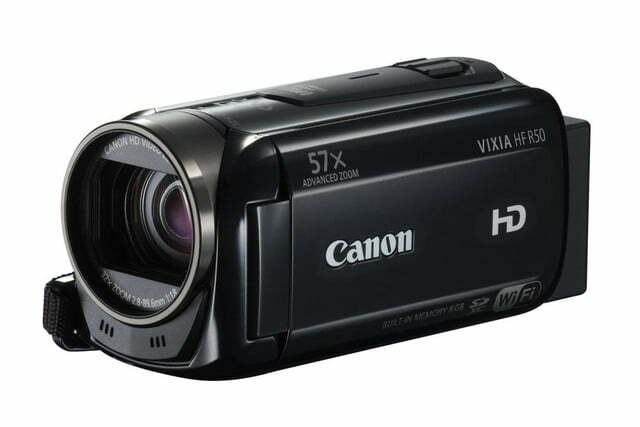 On the camcorder front, Canon is following up on its pocket POV camcorder with the Vixia Mini X ($400). 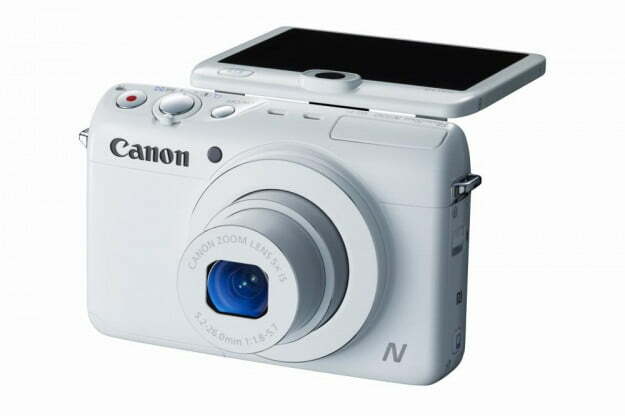 The device has a similar design as the previous Mini, using the same f/2.8 fisheye lens, 12.8-megapixel CMOS sensor, DIGIC IV image processor, and unique 2.7-inch tilting touchscreen display. 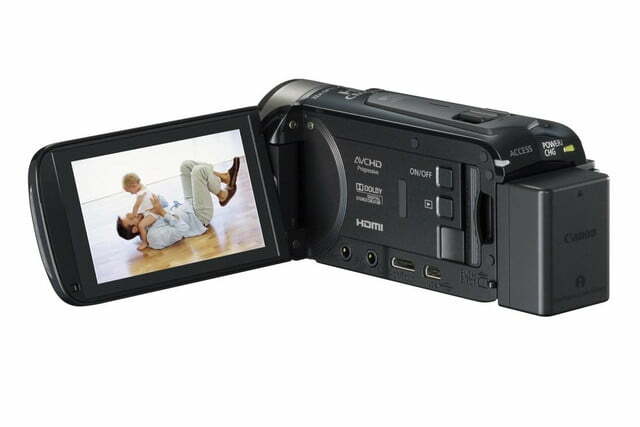 The improvements include both MP4 and AVCHD support, Linear PCM for CD-quality audio recording and a larger microphone, pro-level features like time encoding, headphone terminal, and HDMI output (there’s also a dial to adjust the audio), and a wide close-up mode with electronic image stabilization. As in the previous model, there’s Wi-Fi for live streaming. 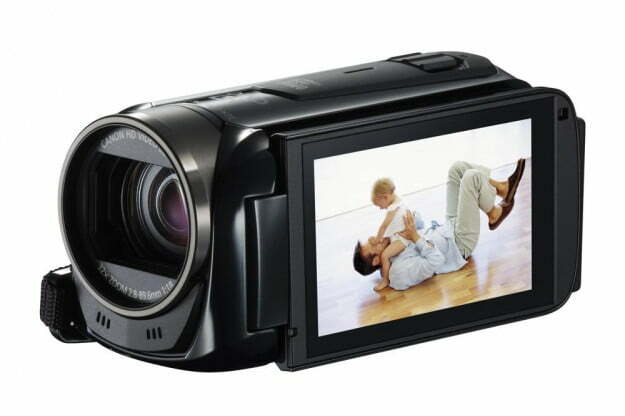 In the general consumer camcorder space, Canon has three fairly evolutionary upgrades. 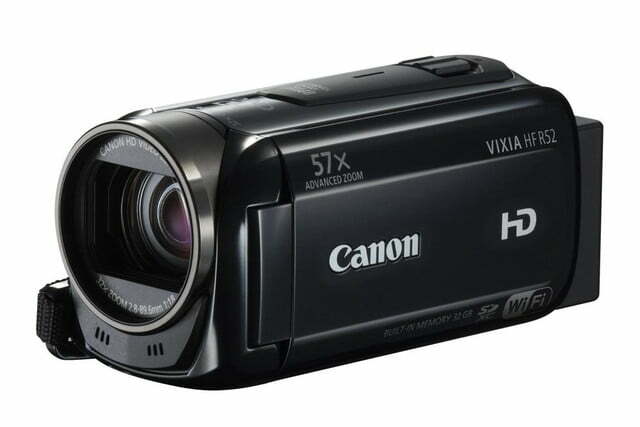 The Vixia HF R52 ($450) and HF R50 ($400) are similar models with internal memory (32GB for 12 hours in the R52, 8GB for 3 hours in the R50). Both have a 32x zoom with optical image stabilization, 1080 capture up to 60p, dual recording in MP4 and AVCHD formats, high-capacity battery, 3-inch capacitive touchscreen LCD, and Wi-Fi that can be used for live streaming. A feature called “Advanced Baby Mode” helps you track your kids as they age, although we think your kid will outlast your camcorder before they even hit their tween years. If you don’t need the Wi-Fi and built-in storage, and would prefer to use an SD card, there’s a less expensive model, the HF R500 (replaces the R400), for $300. It has all the features as the R52 and R50, minus the noted exceptions. To give consumers that pro-like shooting experience, Canon has a new gadget to complement the R52 and R50 called the Pan Table Accessory. It’s a small cradle for the camcorder, which can be controlled remotely with a smart device (200-degree left-right control), plus a 20-degree manual tilt up and down. The accessory will sell for $100.